Here is a belt buckle that you very seldom encounter. This is the pattern that is illustrated as figure #1018 in the O'Donnell and Campbell buckles book. It is the US model 1831 belt buckle for the Enlisted men of the Marine Corps. This is the style from after the Civil War. They list it as being made from 1880 until about 1910. 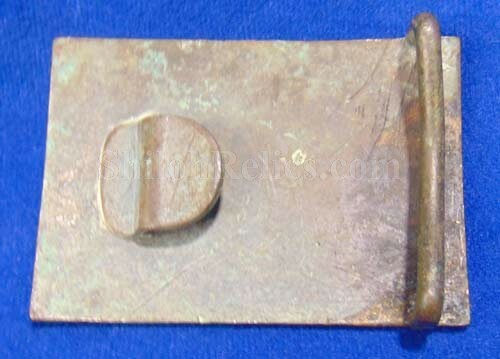 It is made of a very thick brass and has the applied hook soldered onto the reverse. On the one side it has the loop for belt attachment. This one is in excellent excavated condition. 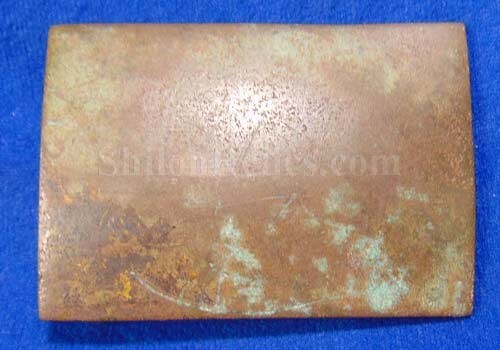 This is a wonderful original post-Civil War enlisted Marine Corps belt buckle.